While traveling and volunteering in China there are some things you just can't miss. These hand pulled noodles are one of them. 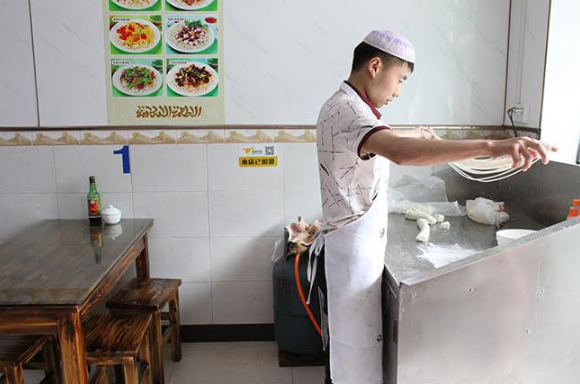 Here's how to find the best noodles while you are volunteering abroad! China is full of yummy food that you need to try out. Eat it all why you can! These noodles are a favorite of our ILP groups and something you'll probably want to eat every day, especially since you get can a bowl usually for a just a couple of dollars. Have questions about China or any of ILP's other countries? Click here to speak to an ILP representative. They can help you get all of those answered! There's a few things you should know about them to make sure you are getting real, authentic ones! Here's the info you and your ILP group will need! What Makes These Noodles Special? What Are They Really Called? How Can I Order If I Don't Speak Chinese? Where Can I Find Noodle Shops? La Mian noodles are not only cheap in China, but they are extremely delicious. You can find restaurants that sell these throughout all of China and are a favorite among locals as well as visitors. The noodles are quite simple. They are hand pulled and added into a soup, usually with a flavorful beef broth, fresh coriander, scallions, and sliced radishes. If the noodles come with meat, count on a yummy beef. Get more info on these pulled noodles here. One of the coolest things about the noodles is watching them be made. You get a front row seat and can see the dough being pulled, stretched and cooked right in front of you! Watch the video below to see glimpse into how they are made (it's amazing). Lā Miàn noodles are what the noodles are really called but they are also nicknamed "hand pulled noodles" or "muslim noodles". Knowing the real name is super helpful so you can order them in restaurants. While living abroad in China keep your eyes out for the following Chinese characters to help you order. You can show these characters to someone who works at the restaurant, or just look for it on the menu. If there happens to be any English on the menu, it may be referred to as "hand pulled" noodles. Where Can I Find Noodle Shops In China? They can be a little tricky to find unless you're a local or you do your research because they're usually tiny, little shops and you might walk right by if you didn't know the amazingness that was inside. Plus, foreigners typically don't come to these shops because they simply don't know what to order. There are a few ways to find noodle shops in China and get your hands on this delicious dish. If you are an ILP volunteer you have access to a serious gem which is filled with tips and advice from previous ILP groups who lived in your city. Previous Head Teachers update an area book and your Head Teacher will have a copy of it. Ask them to check the section about your city and see if other groups have added where their favorite noodle shops are. It's not guaranteed you'll find info, but it's a good place to start. Seriously, you can find anything on the internet. Do a search to find out what the best restaurants are near you. You can get pretty specific in your search, which will help you narrow things down. "Best hand pulled noodles in Shanghai" brought up this awesome site. "Beijing la mian noodles" led me to these recommendations. "La Mian noodles in Xian" showed me this high rated place. 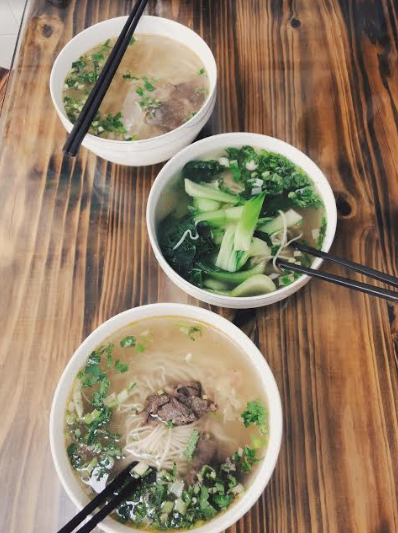 Ask locals that you meet where the best places to get noodles are. One perk about doing a semester trip vs a week long trip is that you're there long enough to make local friends who can show you the local favorite things that tourists always miss. Native teachers at your school you teach at, friends you meet throughout the city are awesome resources when you are trying to find the best places to eat. They'll know where the good deals are too. Now you know how to find the good stuff! The next step is getting to China. Volunteer in China with International Language Programs(ILP!) and make a difference as you serve! You will teach English to the greatest kids around and have the opportunity to travel and see a lot of this amazing country. 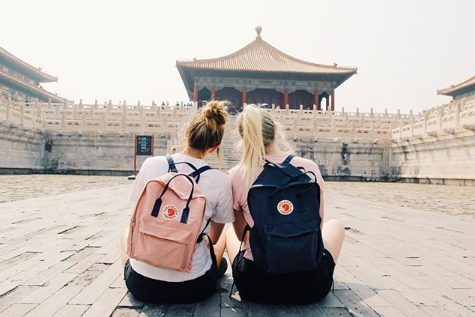 Click the button below to learn more about ILP and what your semester abroad will be like in China!